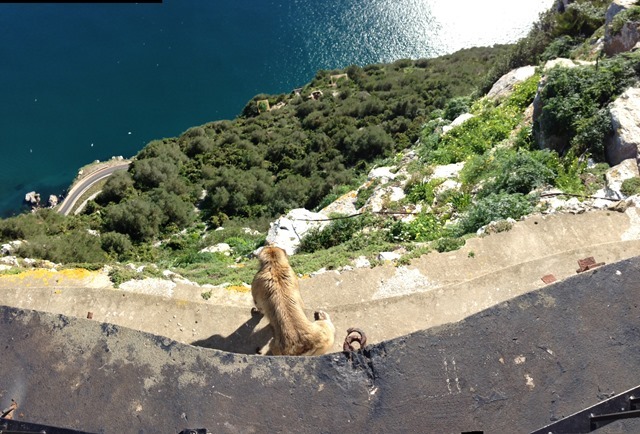 Mysteries of the Rock of Gibraltar and the Barbary Apes – Traveling Epic! I love travel mysteries and Gibraltar has lot of deep stories that make it one of the most powerful, interesting and mysterious places. It’s said that this place once held greek temple to Hercules and the caves inhibited by early man… maybe even the last hold out for the Neanderthal. There is a labyrinth of tunnels that are longer than the trails that go over the top and caves filled with mystery from early inhabitants. It is first recorded in history as the “pillars of Hercules” from Greek Mythology. Until Columbus it marked the edge of the known world. It’s a magical place filled with mystery that transcends time. Here are a few of the things we saw..
One of the craziest airports in the world, Gibraltair International (GIB) has daily flights to and from Heathrow, Gatwick, and Luton. Went through all 3 airports in one day once. I don’t recommend it. As well Malaga is only 120 kilometers away. 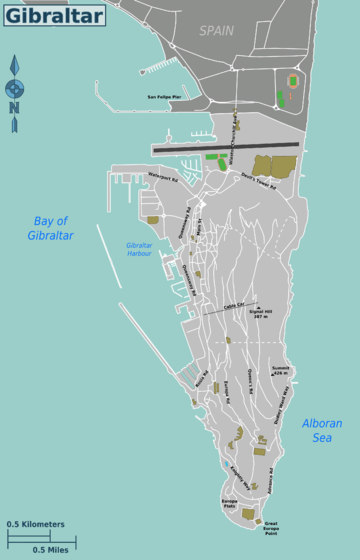 Notice how the airport goes through the only road that goes into Gibraltar. 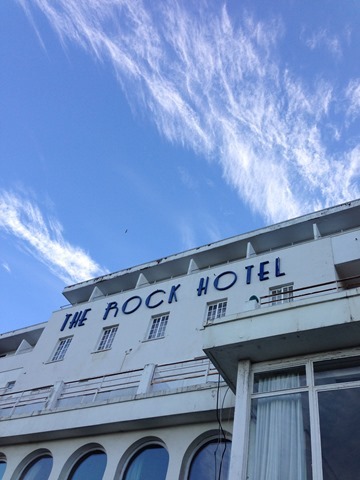 Locals call it Gib (sounds like jib). The locals even have a British sounding accent, but they used GIP Pounds or Euros in most of the places where I went. There are a number of Spanish as well that live in Gib. While the Gibraltarians have their own culture, it’s definitely a mix of english and spanish supporting a very strategic military installation mostly turned tourist attraction. I don’t think the apes realize just how important that little strip of land has been over time. It get’s stirred up every 50-100 years it seems to me. Spain still doesn’t seem too happy for it to be there. Gibraltar is not part of the Schengen Area. This means that there are immigration and customs controls when travelling between Spain and Gibraltar. Citizens of the European Union are required to have a national identity card or passport, while all others are required to have a passport to enter. Right after you cross the border you cross the airport. Hopefully while you’re there you’ll see a plane coming in or out… it’s a beautiful site. I do encourage you to read the history. 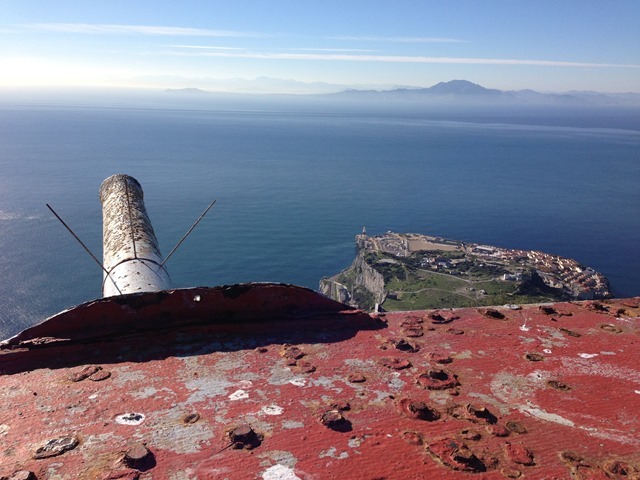 The wikitravel article on Gibraltar has a s hort but decent write up. The history of Gib goes all the way back to Neolithic times, some evidence in St Michael’s cave. 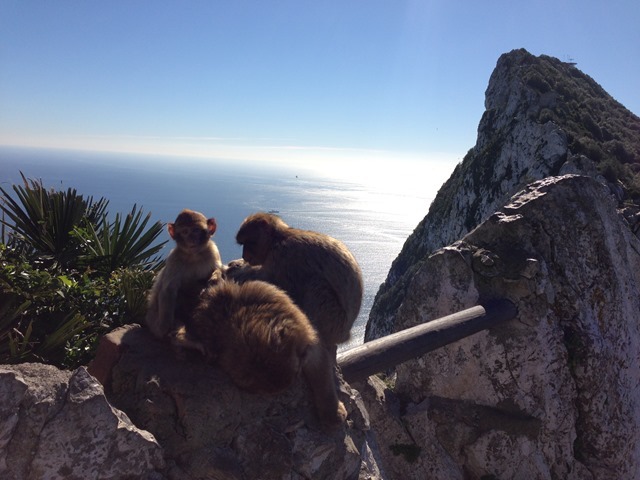 As far as visits go, take the gondola up the rock and spend time with the apes. Quite the view… across the straights, you can see Africa! There are very few spots in Europe where on the other side you can see Africa. It’s a real treat as a traveler to be able to be this close to two of the huge continents and see history reveal itself. I had no idea that it was real UK territory. It’s fascinating. If you like traveling to unique places this is a real draw for a number of reasons. The Apes, the military arsenal, the huge iconic and powerful rock, the majestic views, and the point at which Africa is close to Europe. There’s a lot of symbolism and exciting parts to this story. I’m sure you’ll love it. I mean come on, it’s also very close to Morocco, one of my favorite places to time travel, and to some of the most relaxing parts of Europe. The Ferry is just down the road to visit the islands… It’s a great destination. When I visited, we went to Spanish Morocco and then a night taxi ride to Fez. What a fabulous place cultural that is. The Barbary macaque or Barbary ape, is a species of macaque with no tail. Traditionally found in the Atlas Mountains. There is a small population, about 5 troops and 300 individuals in Gibraltar with an unknown origin. They are the only monkeys or apes in Europe. The Barbary apes are the best known species from the old world. They are recognized as an endangered species. If you visit Morocco you can visit a troop in the forest. The Rock is beautiful and iconic. It rises in such a way that you can understand why it’s used in Greek Mythology, and why companies even now like Prudential take advantage of it’s symbolism. It carries power. Over time it has been one of the most densely fortified and fought-over places in Europe. Did I wet your appetite? Maybe you’ll consider this amazing place filled with mystery. I enjoyed and learned from your blog, as always. Thanks for sharing!